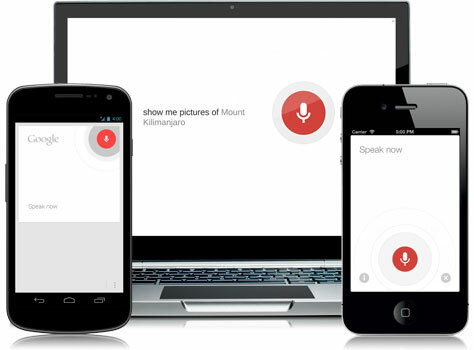 To access Voice Seach, go to setting in the Google search app, then select Voice>Language> choose English > English (India). This feature running on Android version 2.3 as well as on iOS alongwith desktop computers via the Chrome browser. It also helps the users in getting informations like traffic route, flight status, weather, etc. Google worked with over 700 volunteers. “We collected spoken utterances to create the specific language models which power English voice search in the Indian accent. Our volunteers are asked to read popular search queries in a variety of acoustic conditions such as in restaurants, out on busy streets, and inside cars, to best reflect real life and the role Search has in helping connect users with relevant information they need to go about their day,” said a Google spokesperson. TechFirstPost says: With the growth of mobile users in India, Google has won in a big way since Android has clearly emerged as the winner as it is the dominant OS. From low-end budget phones to premium devices, Android had a 91 percent market share in India in 2013, according to IDC data. Given how big Android is, the company will also be hoping that the search market continues to grow and adapt to changing user outlook. Since smartphones will mean a new generation of mobile first and in some cases mobile only users in India, Google will hoping that they will be well-versed with how search works on these devices. Plus with Google Now, the company will try and make sure that users see Google as more than just a search engine with a voice-capability option.